How much does it cost to send your parcel abroad, and how does Weengs international pricing work? We ship everywhere, even Timbuktu. Economy pricing is calculated purely on the weight of the parcel – it’s called dead weight pricing, for those in the know – so to work out pricing just weigh your item, add on the weight of packing materials and take a look at the handy rate-card below (you can also use your cost calculator). Express pricing is calculated by the greater of the weight, or the volume weight. It’s a complicated formula, creating what’s called volumetric pricing. For an estimate price on international express, please consult your cost calculator. 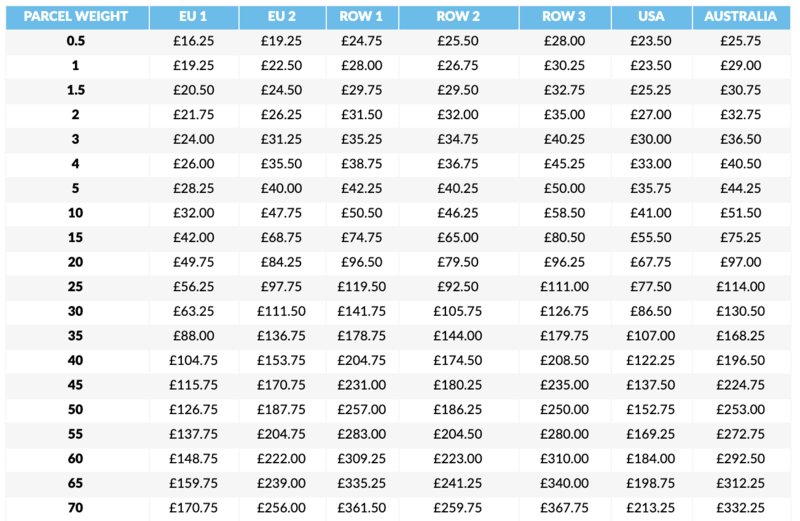 We’ve only included key destinations – all countries are covered, just go to the cost calculator for more details.